Video of flights over top monuments of Venice in HD format. 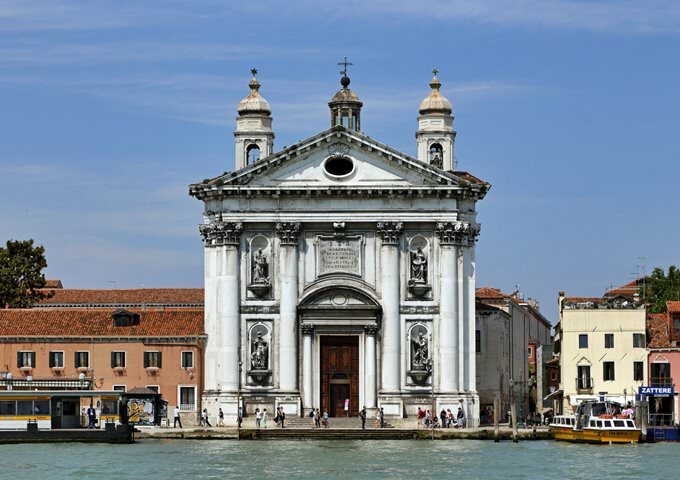 Santa Maria della Salute, San Pietro di Castello, Santa Maria Formosa, Santi Giovanni e Paolo, Gesuati, and La Maddalena are the main candidates that compete for the title of the major architectural symbol of Venice. 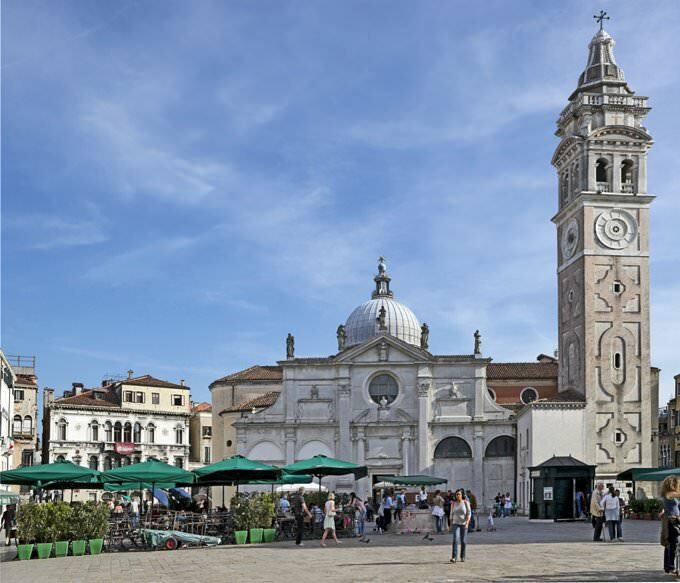 Just like in the first part of the guide, you can watch each monument by viewing its colorful 3D model in the Venice flyover video on the left. Don’t forget to access our photo gallery and an overview of interesting facts regarding every monument. The map of the most important architecture sights of Venice (located below this guide) will help you to create your own sightseeing tour through Venice. 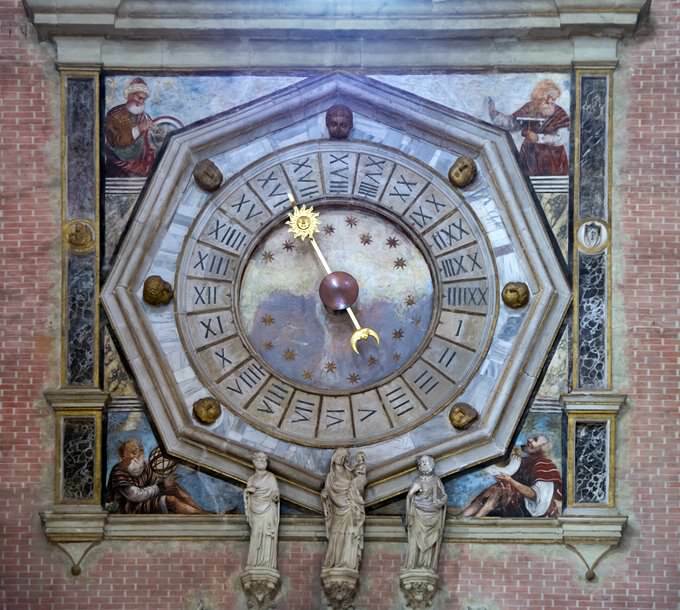 » Santi Giovanni e Paolo is one of the biggest and most famous cathedrals of Venice. » Twenty five Doges of the Venetian Republic and many other prominent personalities were buried there. » The cathedral has a very large number of works of art. » Santi Giovanni e Paolo has no bell tower. » The cathedral has impressive dimensions; it’s 101.6 meters long, 45.8 meters wide and 32.2 m high. The walls are decorated with numerous monuments. » The Baroque facade of Gesuati is decorated with columns, cornices, carved angels and saints. » Interior of the temple is unusual for Venice. Gold and white stucco, as well as green and white marble were used for decoration. 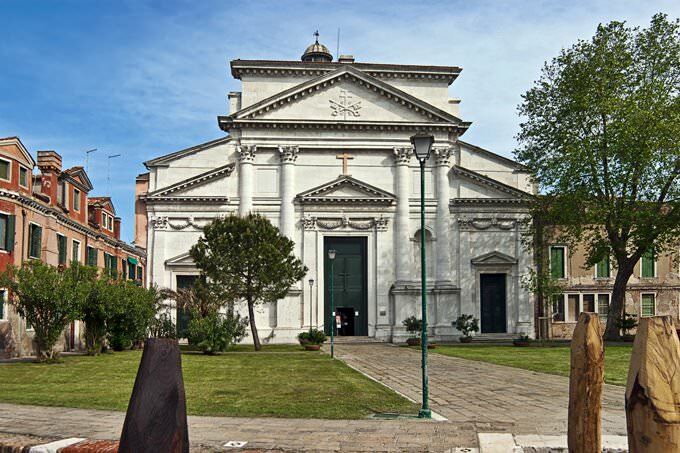 » The Gesuati Church houses the famous painting by Titian, The Martyrdom of St. Lawrence. » Once, Theophile Gautier, the famous French poet and critic, said that interior decoration makes the chapel of the Virgin to look like a boudoir of an operetta singer. 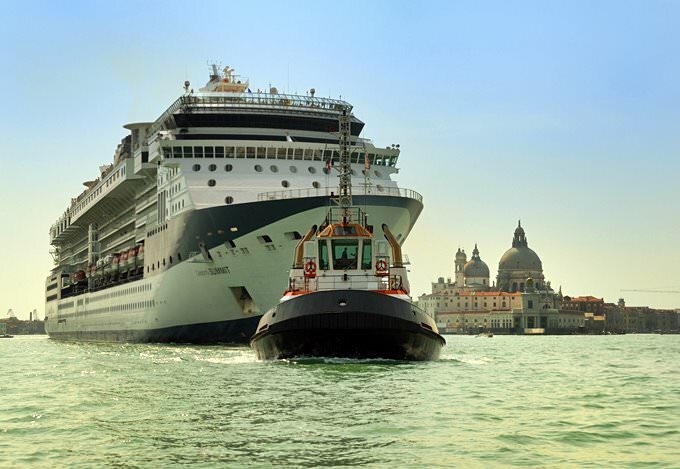 » La Maddalena is located in Venice's Cannaregio. » The church was built in the neoclassical style. » The architect, Tommaso Temanzza, wanted to reproduce the Roman Pantheon in the construction. » Today the church isn’t working and is only open on special occasions. 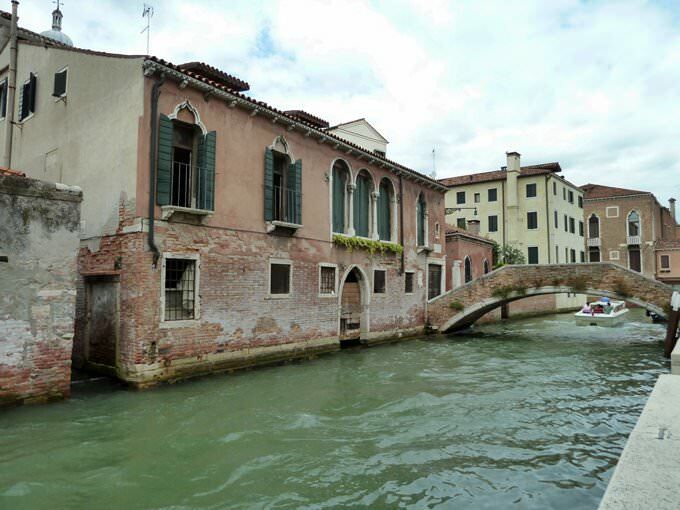 This guide to architecture monuments in Venice is protected by the copyright law. You can re-publish this content with mandatory attribution: direct and active hyperlink to www.orangesmile.com.